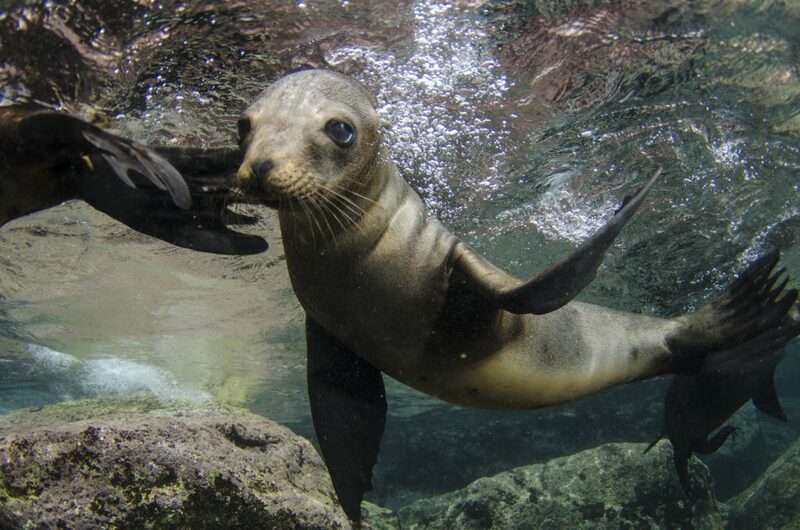 Underwater photographer, filmmaker and PADI Course Director Luke Inman opens up about his passion for diving, his connection with the Sea of Cortez, and his relationship with the sea lion that inspired PADI’s new limited-edition replacement certification card. 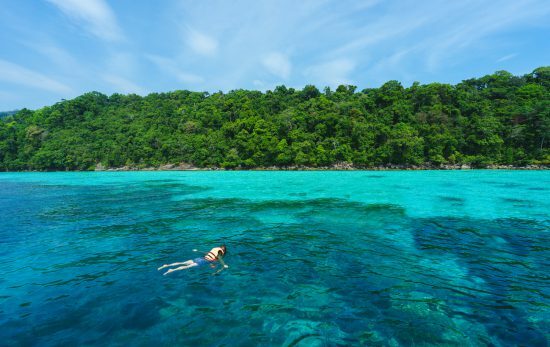 Of all of the places you have traveled and dived, what has been the most inspirational? Near La Paz, Mexico, in the Sea of Cortez, Los Islotes is a nirvana for wild animal encounters. Los Islotes is regularly featured in the diving press as one of the top ten dive sites in the world. From my perspective and experience (and I have been fortunate to have dived all over the world), Los Islotes is my number one site. Most people would expect me to choose a deep wreck, an abundant pelagic dive site or a mystical cenote as my favorite dive site, but no—a shallow dive with an uninhibited sea lion at Los Islotes will always be my first choice. 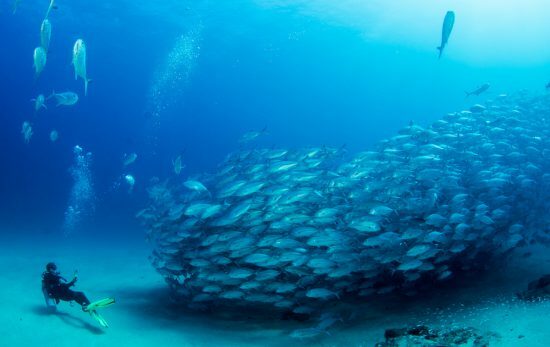 How have the Sea of Cortez and Los Islotes captured your heart? How is it different than any other place on Earth? Few places so close to a city can offer humans true interactions with wild animals. The magic is the sea lions enchanting and entrancing you. Not with illusion or wizardry, there is no incantation, no voodoo. Just finesse and charm, playful charm that allures and inspires everyone that visits. 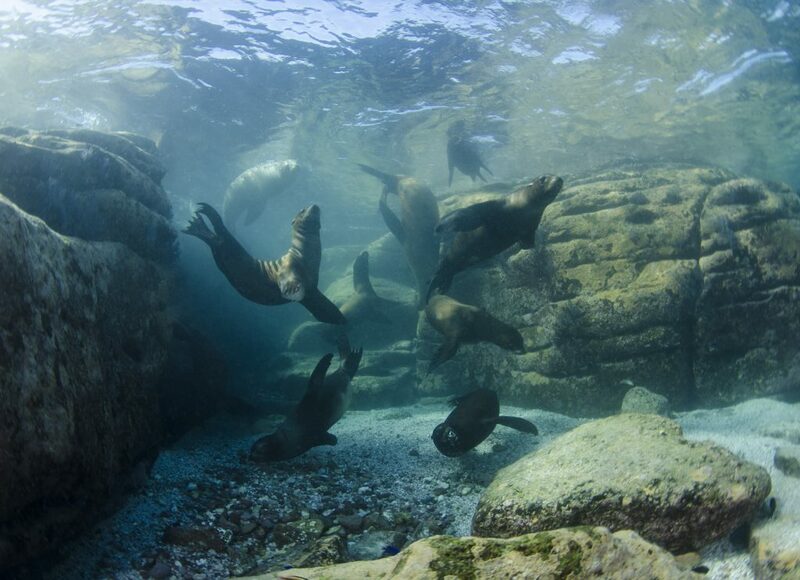 How would you characterize the sea lions of Los Islotes? 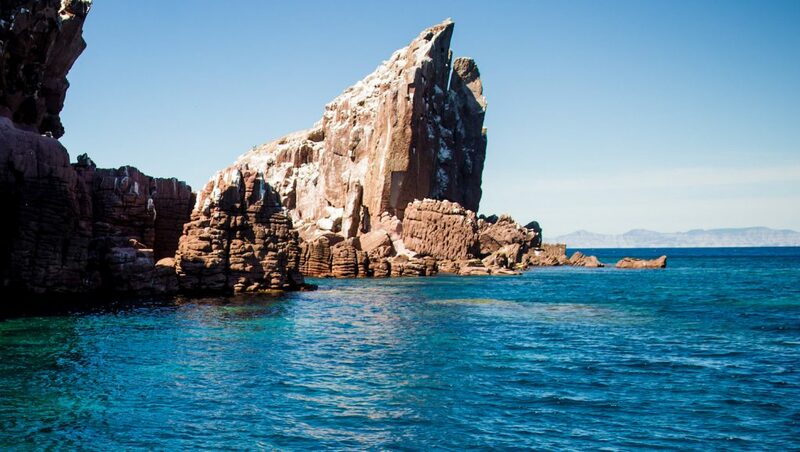 Los Islotes receives more visitors than almost any other island in the Sea of Cortez. The sea lions appear to have become accustomed to human interaction and high levels of boat traffic with few ill effects. They have been universally delightful—even when they involve the menacingly large adult males. The sea lions have provided me with some of the most incredible interactions. 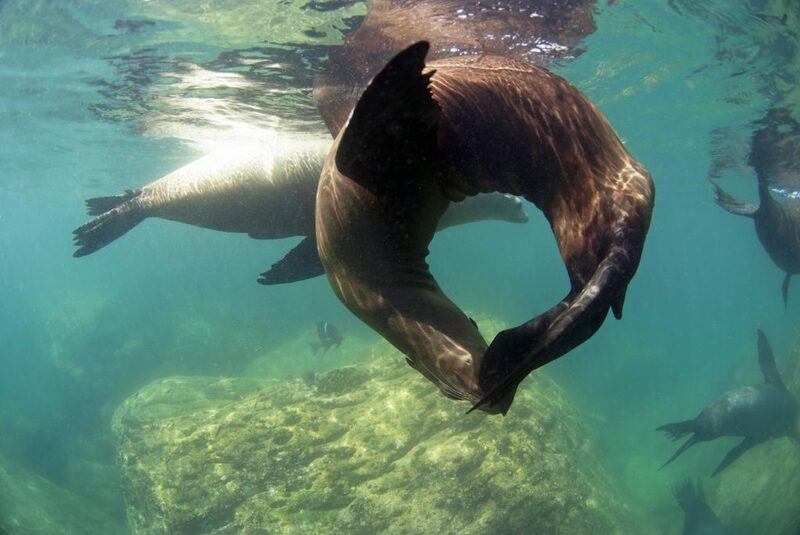 What is your favorite thing about diving with the sea lions? The sea lions taught me true serenity and bliss of wild animal interactions. Sea lions can leave you smiling with the remembrance of childhood joys and innocence, the halcyon days of having no responsibility. The sea lions are my meditation. Visiting and associating with them has become a key component of my routine, a natural, nurturing therapy. 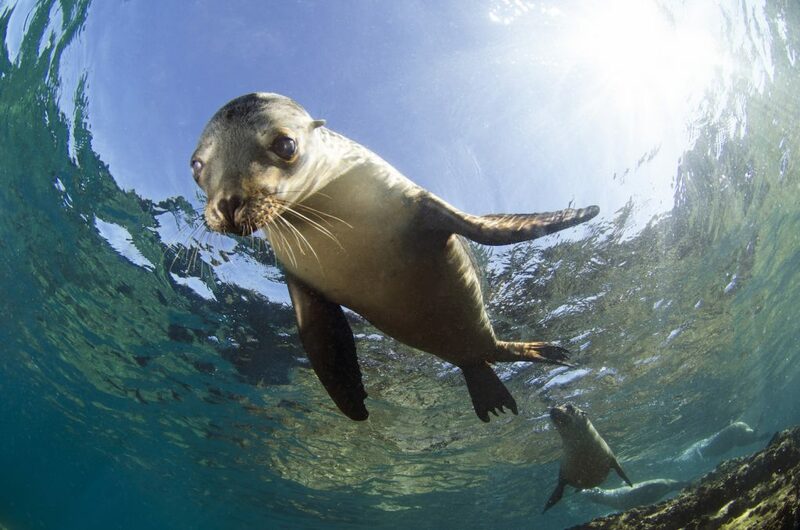 Tell us about your experience photographing the sea lion featured on the new limited-edition PADI certification card. One of my most memorable experiences was with a young pup at Los Islotes, a yearling female marked and tagged ironically with the number “42” (which according to The Hitchhiker’s Guide to the Galaxy is the “Answer to the Ultimate Question of Life, the Universe, and Everything”). She seemed to appear every time I dived at Los Islotes and taught me a lot about consorting with sea lions. She was patient, kind and, above all, affectionate. Whether she really held the answer to “life, the universe and everything” is a matter of debate, but I am sure Prefect & Dent would have agreed with me. Our interactions always started with her gently colliding with me—but perhaps ambush would be a better description. This act was executed with the skill of a well-trained military diver. Like all good surprise attacks, I was invariably completely blindsided, but invariably and without exception she ended with her head pressed against mine so that I could feel her whiskers caressing my forehead. She would then initiate play by gently biting my hand. This teasing nip would be the transition to her ensuring my hand was directed either across her body or behind her ear. Her goal seemed to be to get me to scratch her ears; when I stopped she would maneuver her head under my hand, initiating more tactile affection like dogs and puppies do. At times I would have to put my camera down and simply focus on giving her the love and attention she insisted on. 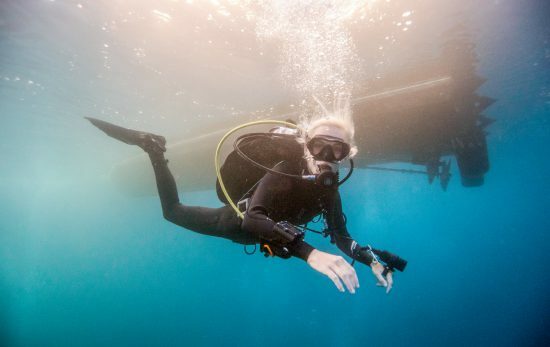 Several years after my experience with “42” she stopped appearing on my dives. I assumed that she had become too old or mature to continue to play with this bubbly, noisy intruder into her world. How wrong I was. 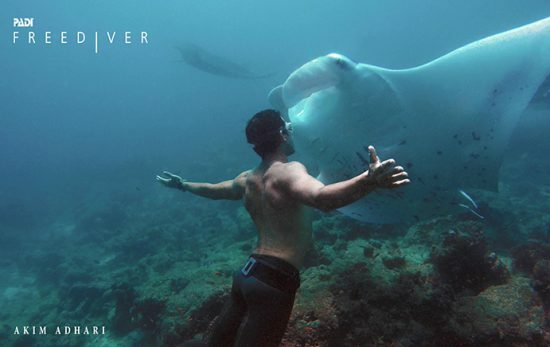 I did meet “42” again—two or three years later—when a now large female greeted me underwater like her long-lost friend. 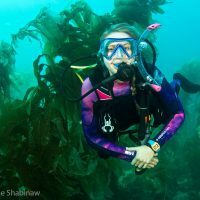 Do you have any advice for capturing the personality and spirit of critters in underwater photography and videography? Come and take a photo workshop with me – or enroll in a PADI Digital Underwater Photographer or Underwater Videographer course near you. What are the top underwater photography tips that you live by? #1: Do not harm the environment! #4. Worry about the art, not the equipment. What do you hope your work will inspire in others? I hope to inspire people to nurture the planet and conserve her. The Sea Lion of Los Islotes limited-edition replacement PADI certification card featuring Luke Inman’s stunning photograph is now available for a short time. 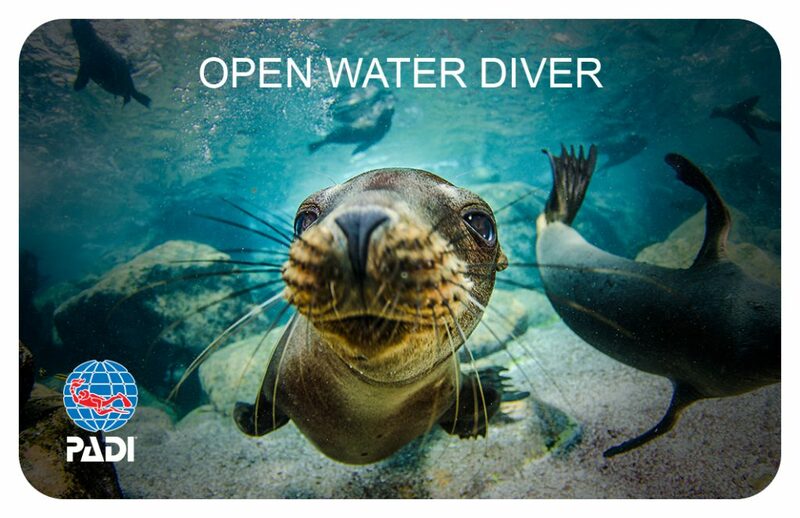 Visit your PADI Dive Center or Resort or PADI.com to be one of the first to get this new card. To see more of Luke Inman’s work, visit lukeinman.com.